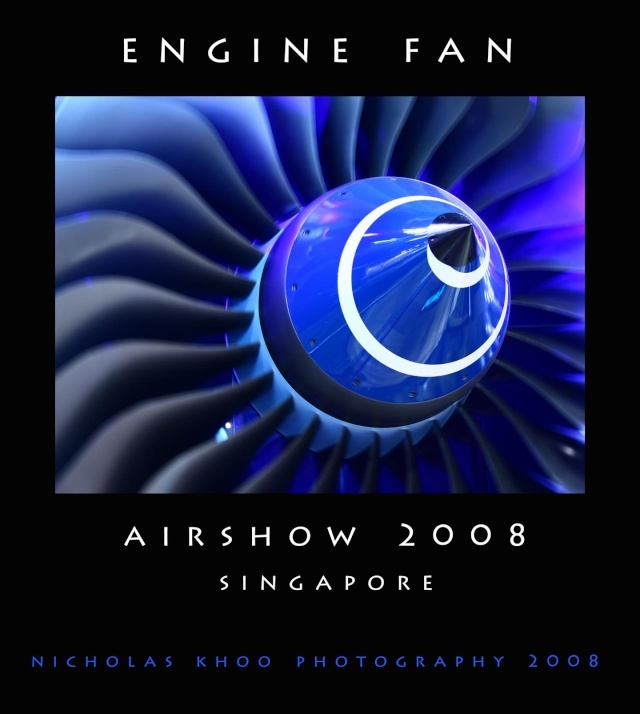 Would you like this engine Fan? hello....this was taken during the Singapore Airshow 2008. Taken at Rolls Royce counter. Give me your comments if possible...Cheers! Re: Would you like this engine Fan? Ya..if the DOF is increased, it will be good like u said. err.....u cannot see the turbine in the engine. One has to tear an engine down before u can see the blades. The blades at the front of the engines that we often see is called the Fan blade. err..so how? U like the pic? heheheheh... what's your comment on it? kk la the point that turns me off is that it looks like some motivational poster, especially wif ya thick black boarders LOL~!